Hurricane Michael, which is currently looming in the Gulf of Mexico, is not expected to impact gas supplies or prices for most of the Sunshine State, AAA noted on Monday afternoon. AAA pointed to the hurricane’s projected path, insisting it will pass to the east of most oil operations in the Gulf and refineries in the region. Citing the State of Emergency that Gov. Rick Scott called for 35 of the 67 counties in the state, AAA insisted that will help contain prices as it “limits the amount a retailer can raise the price on commodities like gasoline” and insisting there was “not significant upward pressure on prices at the pump” though that could change as the storm continues. AAA also provided safety tips for drivers impacted by the hurricane. • Pack an emergency kit. This includes a flashlight with extra batteries, first-aid kit, drinking water, mobile phone and car charger, extra snacks/food for your travelers and any pets, battery booster cables, and emergency flares or reflectors. • Have a full tank of gas. • Buckle Up. Always wear your seat belt while behind the wheel. • Increase visibility. Turn your headlights so you can see other motorists and they can see you. • Avoid using high beams. Using your high beams in heavy rain is counterproductive. Your bright lights can blind other drivers, and even reduce your vision, because the extra light reflects off the rain. • Increase your following distance. Allow ample stopping distance between your car and the one in front of you. Scan the road ahead of you so you can properly react to slowing traffic ahead. While slowing down, be aware of vehicles behind you too. • Avoid using cruise control. 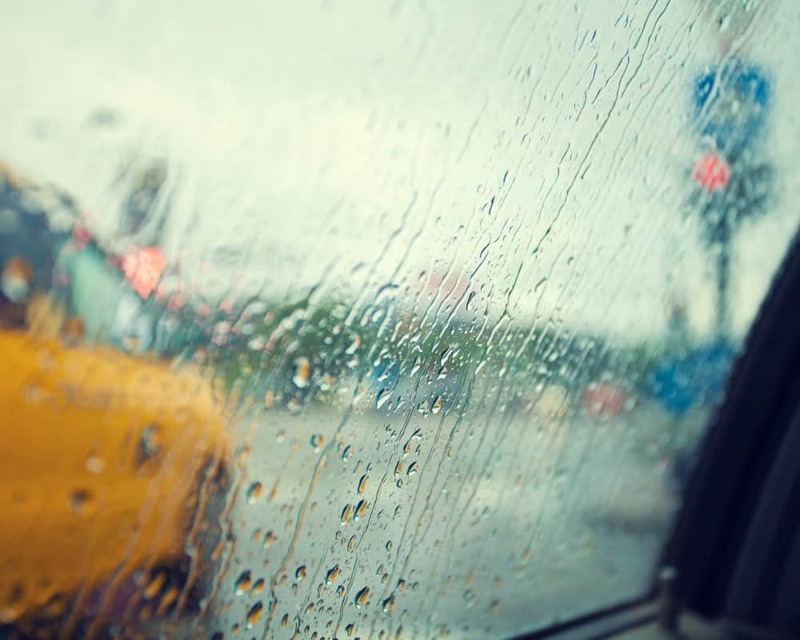 Cruise control on wet roads raises the risk of hydroplaning or losing control when trying to slow down. • Be ready to pull over. If you can’t see the edges of the road or other vehicles at a safe distance while driving in wet weather, pull off the road as far as you can and wait for the rain to ease up. • Make sure to turn on emergency flashers to alert other drivers. • If your vehicle stalls in a flooded area, do not remain in the car. Abandon it as soon as possible and seek higher ground. Flood waters can elevate quickly, sweeping away the vehicle and its occupants. • Avoid closed roads. Road closures also apply to our tow truck drivers as safety is the key for everyone. • Reduce distractions. Do not text or engage in distracting activities while driving, including interacting with a cell phone, talking with passengers or looking at other objects in the vehicle. • Comply with the Move Over Law. Observe the “Move Over Law” when law enforcement or emergency vehicles are on the side of the road. Change lanes or slow down to give sufficient clearance. This is the law in all 50 states. • Pull out of the traffic lanes if your car breaks down. If faced with a vehicle emergency, safely steer your car off the roadway. Turn on emergency flashers to alert other drivers and exit the vehicle on the side facing away from traffic if possible. Once everyone is in a safe location, request assistance from a road service provider. • Call for help. If you find yourself in an unsafe situation, please contact law enforcement. • Traffic Signal Blackout: If traffic signal lights are not working due to power failure, you must stop at the intersection and then proceed when you know other turning and approaching vehicles, bicycles, or pedestrians have stopped. A blacked-out traffic signal should be treated the same as a four-way stop intersection. • Only drive in these conditions when absolutely necessary. • Anticipate gusts. Pay attention when driving through areas prone to strong winds or when weather reports forecast severe weather. • Firmly grip the steering wheel. Know your vehicle, light cars, vans and other “boxy” vehicles are more likely to be blown by strong gusts of wind. • Increase space between your vehicle and other motorists, especially vans, recreational vehicles and cars pulling trailers which may be adversely affected by the wind.